There was nothing better than coming home from school after a long day of doing multiplication tables, sprawling out on the couch and watching “The Suite Life of Zack and Cody” while munching on your favorite snack. If you’re missing the tastes of your childhood, here are some snacks that will make you nostalgic for the golden days of the 2000s. Kid Cuisine-There was something about Kid Cuisine that made me feel like a hard-working adult eating a TV dinner after working my 9-5 job. Lunchables-As a kid who hated sandwiches, the cracker/turkey/cheese “sandwich” made me feel like I was eating right. 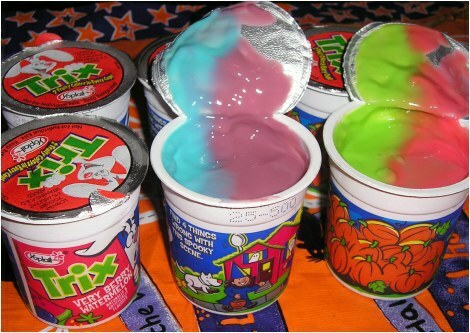 Trix Yogurt-I didn’t realize until now that this version of Trix yogurt was discontinued. It turns out this fruit-flavored yogurt was loaded with sugar. I'm not surprised the rabbit was so crazy about them! Fruit-by-the-Foot-I actually still regularly eat these. I remember when I was younger, I would unroll the entire thing and attempt to remove the treat without tearing it apart. Gripz-These were basically to-go snacks. You can tear it open and pour the entire bag into your mouth. Go-Gurt Yogurt Tubes-Since all of our snacks were loaded with sugar, Go-gurt was perfect as an on-the-go snack for everyone. Little Debbie Snacks-These were the ultimate reward snack. My mom always gave my sister and me one after we survived our doctor check-ups. Kraft Handi-Snacks-I hated cheese as a kid, but that didn’t stop me from applying it to my crackers with the plastic “wand” included with this snack. Bagel Bites-If there was one snack that was consistently able to burn the roof of my mouth, it was bagel bites. 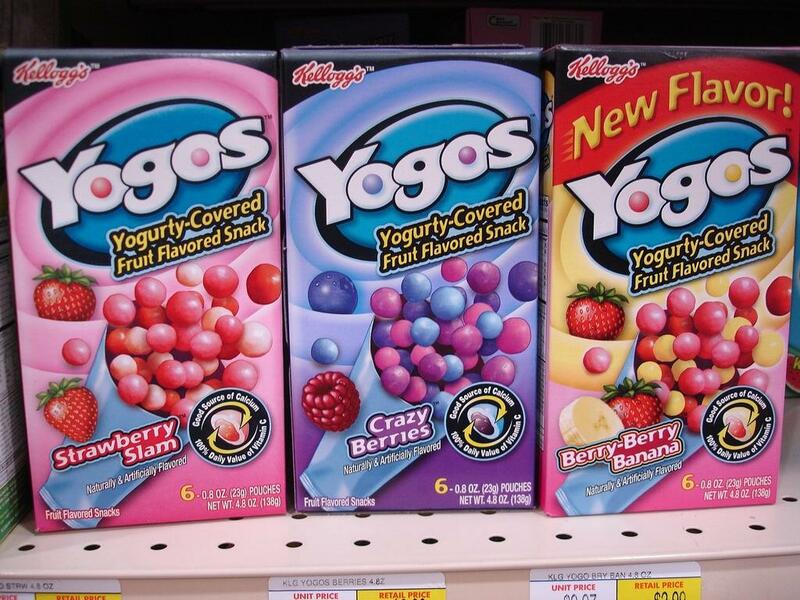 Yogos-It turns out there were a lot of yogurt snacks. I thought I had made these up for a while but nope, these yummy, yogurt-coated, snacks existed! Looking over the list again, I’m not surprised that all the sugary snacks were able to keep us active all day.